Windsor Deli is a successful cafe and eatery just off Chapel Street in Windsor, Melbourne. 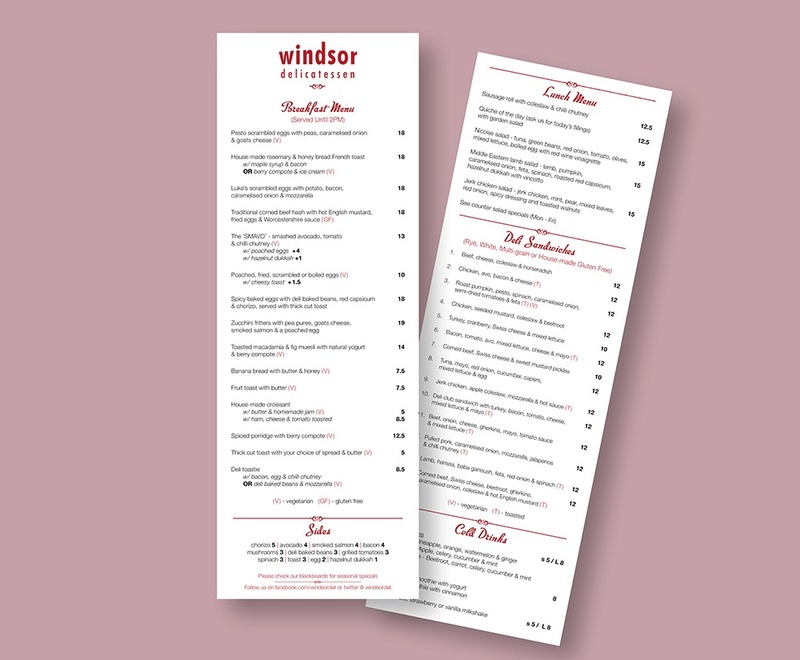 We assisted Windsor Deli in the design and printing of their refreshed 2017 menu. Windsor Deli is considered an icon and was featured in the book ‘Flavours of Urban Melbourne (1st Edition)‘. Windsor Deli cookies are also found in some of Melbourne’s best cafes.